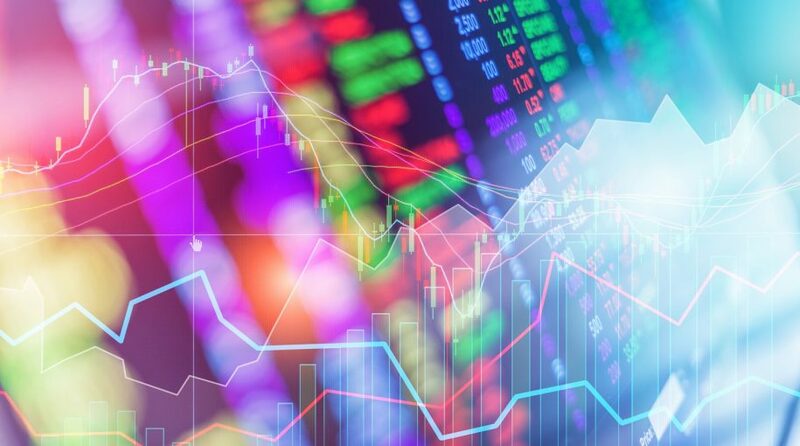 As opposed to simply adding a broad-based fund like the iShares Core US Aggregate Bond ETF (NYSEArca: AGG), it will take more of a strategic bent, such as looking into actively-managed funds or other corners of the bond market like municipal debt. This is especially so since the Federal Reserve said during its fourth and final rate hike in December 2018 that it will do more reassessing–the central bank already lowered its forecast to no rate hikes in 2019 as opposed to the initial two forecasted. Where are the opportunities in fixed income at the moment? Bartolini identified some notable trends. 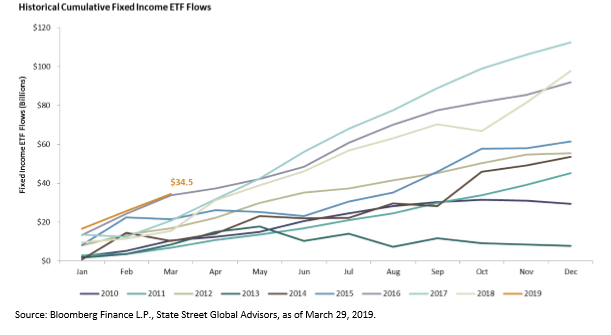 The chart below represents the yearly cumulative flows the past eight years with the orange line showing the first quarter’s run up to record-reaching flows for fixed income ETFs. While Bartolini notes that while this represents a record in terms of sheer dollar amount for fixed income ETFs, one has to consider their percentage of total assets at the start of 2019. For more market trends, visit ETF Trends and to access up-to-date data on ETFs, visit ETFdb.com.